Theresa Rhodes was born in London and spent her youth in India and Rhodesia/Zimbabwe. Music soon became part of her culture as she was immersed in both English pop and African beat. She has been singing and playing guitar since the age of 10. 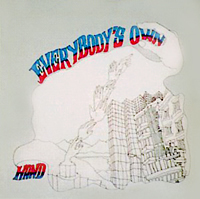 At 18, Theresa joined "Hand", a progressive Folk Rock band, to record some timeless compositions by Marc Osborne and Tony Angier on "Everybody's Own", an album re-released in 2012 by Golden Pavillion. In 1992, Theresa started writing her own songs. The first song she wrote, "Save Tomorrow", reflects a period when she became deeply affected by the atrocities being committed in former Yugoslavia. She used this song to raise awareness of the situation and was invited to sing "Save Tomorrow" on Women's Day at the United Nations. "Save Tomorrow" was heard by Jermaine Jackson who offered to sing the song with Theresa. The duet was first performed in public at a charity concert in England where she appeared as Jermaine's guest artist, along with Isaac Hayes. She was accompanied, for the occasion by the "Dream Team", namely keyboardists Greg Phillinganes and Roy Kaplan, bassist Jeff Berlin, percussionist Hossan Ramzi and drummer Steve Ferone. Jermaine recorded "Save Tomorrow" with Theresa in December 1994 and actively encouraged her to record her other material. 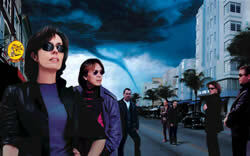 The 14 songs on Theresas first CD, "Quiet Storm", were recorded in Geneva, at Dinemec Studio. The album was produced by Matt Clifford who had worked with Mick Jagger on his solo album and toured with the Rolling Stones in 1992. The single "Save Tomorrow" was released in 1995, together with a video. For two weeks in September 1995, Jermaine and Theresa toured Germany to promote the single; they appeared together on 12 television shows and were interviewed by 11 radio stations. The song climbed to No 8 on the Radio Berlin charts. Click here to read Theresa's interview on Jermaine Jackson's fan site. Back in Geneva, Theresa and long-time friend, guitarist Kiet Nguyen, formed the group "One For The Road" with (from left to right) Peter Greenwood (guitar), Claude Currat (bass), Etienne Brachet (drums), Michèle Ortiz-Suter (backing vocals) Laurent Sonnerat (accordion). 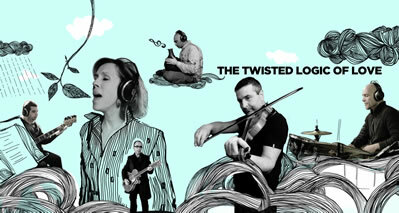 Kiet arranged Theresa's songs and they recorded them in Geneva in 1996 and 1997. The CD, "An Acoustic Affair", is just that: with the exception of the bass guitar on certain tracks, there are no electric instruments and no synthesisers. The record was favoured by excellent reviews and the group’s live performances were enthusiastically received. In 1997 and 1998, they recorded and released the HIT single "We Can Clone Your Favorite Lovers" and gave a series of concerts in Switzerland, notably at the Chat Noir in Geneva and at the Caribana Festival where the group performed along with Diana King, Doctor John as well as Toots and the Maytalls. In 1999 and 2000, Theresa worked with producer Gareth Cousins on a "Clone Your Favorite Lovers" remix which was released as a single in the U.S. together with the original One For The Road version. Gareth is best known for his award-winning music for films such as Dark City and Notting Hill. Also in 1999 and 2000 Theresa wrote and recorded new material for a second album entitled "Stealing The Show". This album came out at the beginning of 2001. It was mixed by the talented Dave Richards at his legendary Mountain Studios in Montreux - a very exciting and memorable experience! Cooperation with Dave Richards was renewed when working together on a "Live at Le Chat Noir" album. In 2004, Theresa recorded and released the album "The Other Side" and gave a series of concerts, notably in Paris at the New Morning and at the Arena in Geneva where the band played as the support act for Lionel Richie. In 2005, following her move to the Mediterranean coast, Theresa formed another band based in Nice and continued performing under her own name. The group featured exceptional musicians including the renowned drummer Felix Sabal Lecco from the Cameroons (Paul Simon, Sting, Peter Gabriel, Prince, Sade), French guitarist Eric Sempé (John McLaughlin, Liz McComb, Chris de Burgh, David Sanborn), Scotsman Neil Gerstenberg on sax and low whistles, Marc Peillon on electric bass (Stephano Di Battista, Gloria Gaynor, Chris de Burgh, Babik Reinhardt) and Claude Tedesco on Piano and violin (David Sanborn, Véronique Sanson). They toured in Belgium and France (see Video), notably at the Transbordeur in Lyon after Robert Plant. With the help of this international line up of fantastic musicians, Theresa recorded her second solo album “If You Had Only”, released by Sound Business Records in 2007. The songs were arranged by the band and produced by Eric Sempé. The CD was launched at the Caprices Festival in Crans Monstana, Switzerland, where Theresa opened Saturday night concerts featuring Neneh Cherry, as well as R&B queen Erykah Badu (see Video). In 2008 and 2009, Theresa was asked to perform at several charity events, either alone or accompanied by her friend Kiet Nguyen. At the World Day for Peace in Geneva, she met war-child victim turned artist Emmanuel Jal and sang “Ti Chinja” (which means “Changes”) in public for the first time. In London, she sang at the House of Lords and at Westminster for the organization ZANE. She sang at the Palace in Gstaad for the charity “Innocence en Danger” and performed at several venues including “The Scene” in Geneva. In 2010, Theresa started working on another project and new compositions. She called upon Claude Tedesco (piano), Alain Ruard (drums), Manu de Costanzo (guitar) and Tony Sgro (bass). They worked together on all the arrangements and recorded the same in 2012 at Studio Marilyn in Cagnes-sur-Mer. Eric Sempé joined the team to produce the album “Twisted Logic Of Love”. Several songs on the album were inspired by political events around the world, in particular “Ti Chinja” (“Changes”), as well as “Where Will I Lay My Head”.